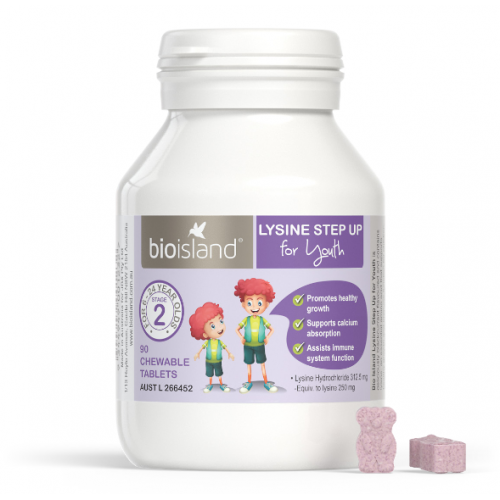 Bio Island Lysine Step Up for Youth supports a variety of body functions during periods of growth and development, where calcium, protein and energy are beneficial. 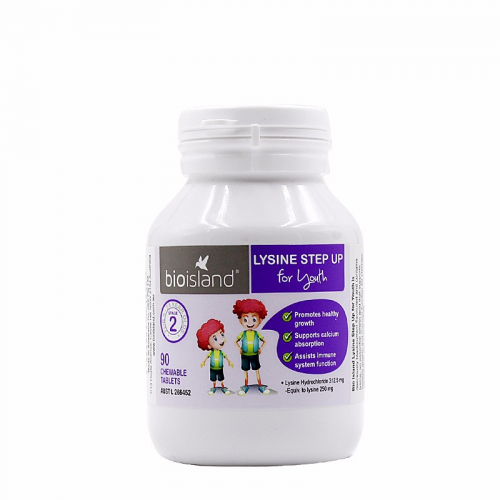 Lysine supports collagen formation and tissue repair, which is important for skin health, muscle growth and wound healing. 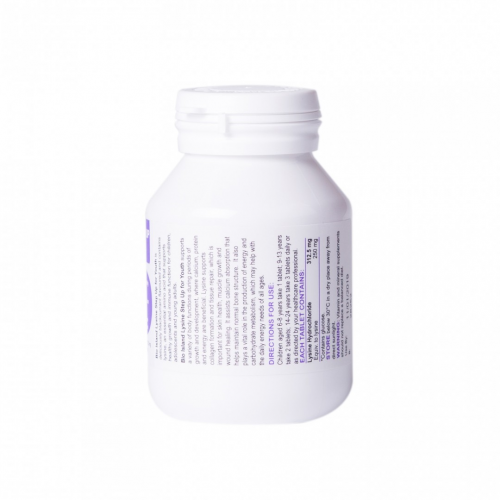 It assists calcium absorption that helps maintain normal bone structure. 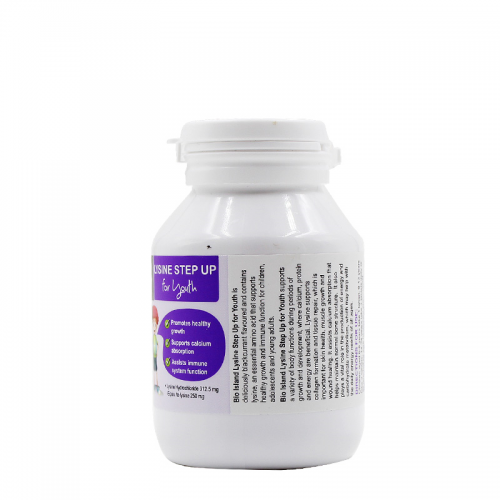 It also plays a vital role in the production of energy and carbohydrate metabolism, which may help with the daily energy needs of all ages. 14-24 years take 3 tablets daily or as directed by your healthcare professional. Vitamin and mineral supplements should no replace a balanced diet.